Welcome home to a highly coveted David Weekley open floor-plan home. Sunlit with soaring ceilings, you'll find contemporary color accented by beautiful white woodwork throughout the home. The main floor features new wood flooring throughout and offers a quiet private study with French doors, half-bath, and wonderfully spacious kitchen, dining, and family room. The gourmet kitchen is perfectly appointed with dark cabinetry, walk-in pantry, stainless appliances, and large granite island. The sunlit dining and family room offer optimal livability with the angled corner fireplace adding the perfect touch of elegance. Upstairs finds the master bedroom and two guest rooms with new carpeting throughout. The finished basement features a generous-sized bonus/rec room or second family room with a full bathroom and guest bedroom and still has room for storage! The wonderfully private landscaped backyard offers a patio and yard space. 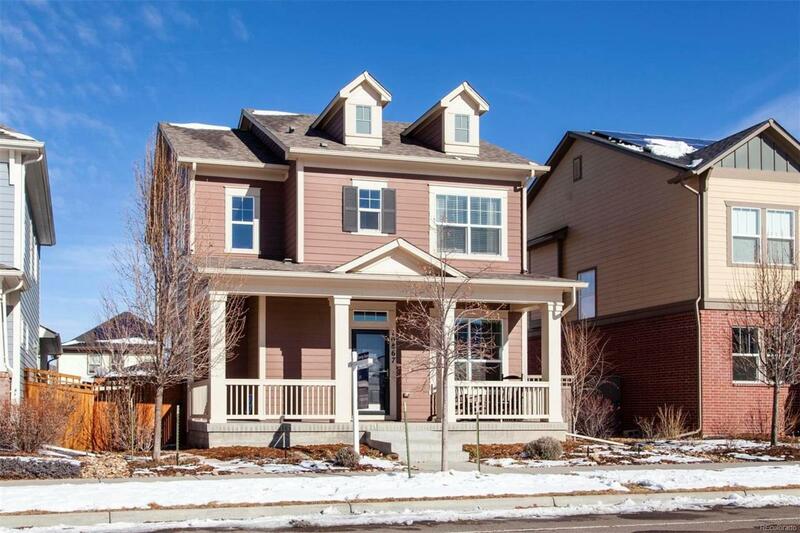 This home has been lovingly maintained and is move-in ready!